Butter Flavor Cooking Spray Crock Pot. Brown beef. Add in all ingredients. Cook on LOW 6-8 hours. Serve with Garlic Toast! Check out our other Chili Recipes: Tay’s Easy Chillin Chili, Cinco De MY OH, YUM! Chili (Taco Chili), The Cheesy Chillin Chicken (White Cheesy Chicken Chili), The Scared White Chicken (White Chicken Chili), BBQ Chili, Chickity China the Chinese Chili (Chinese Chili), Jack O Lantern Chili (Sausage and Chicken Pumpkin Chili) Simply, use the search bar to Search: Chili. 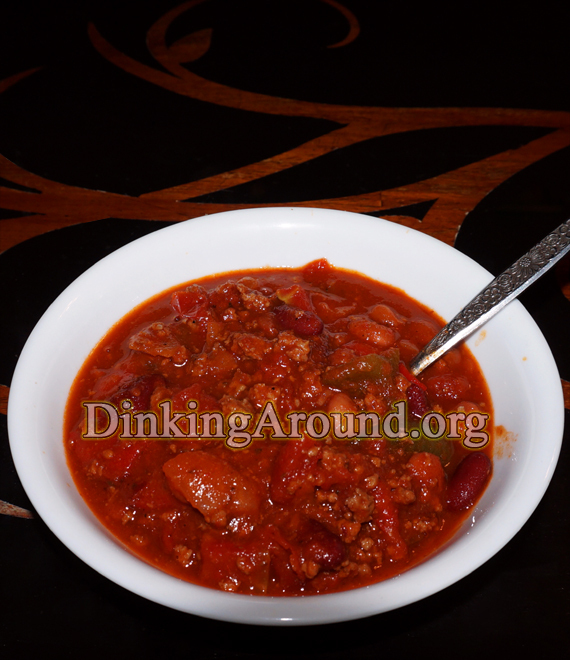 This entry was posted in Chili, Soup, & Stews, Recipes and tagged chili, game day recipe. Bookmark the permalink.